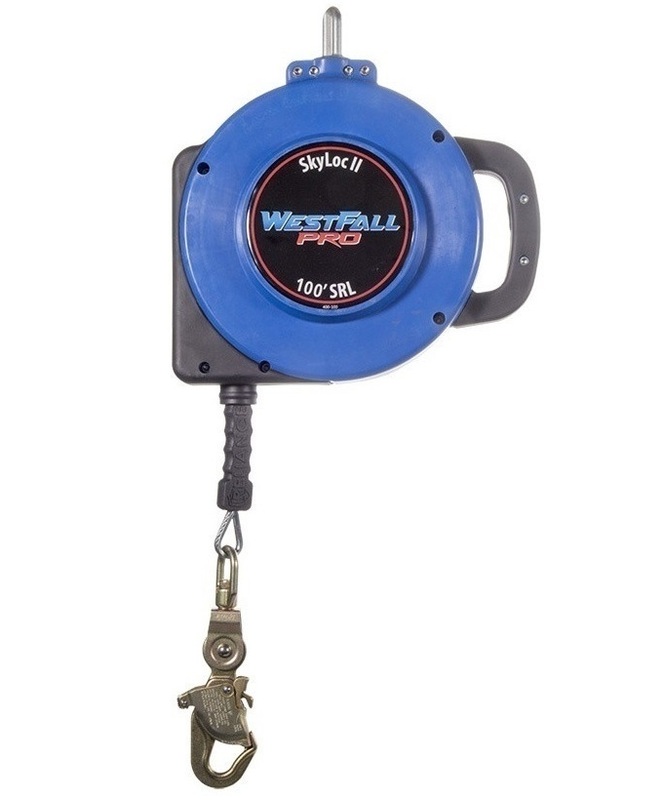 The WestFall Pro Skyloc II features 100' of galvanized cable inside fiberglass reinforced nylon housing. This self retracting lifeline offers a large carrying handle, making it easy to transport and store. The swiveling connector on the top and a swiveling snap hook on the bottom prevents snags and twisting. The rubber, form-fitted cable grip makes it easy to feed out the cable.